Now simmering in the Populi kitchen: a new, updated course roster. The current roster is a good, workaday tool that does the job for a lot of our users. 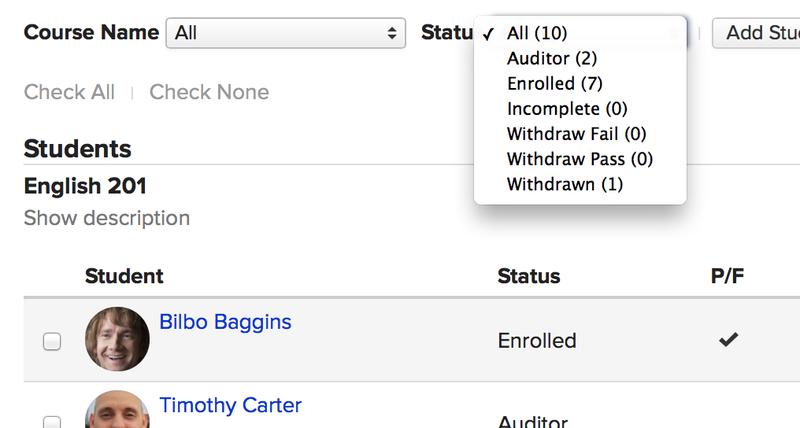 It lets you manage course enrollment information—everything from student status to attendance hours—and gives you some simple group contact/export options. At the same time, it has a lot of room for improvement. The layout has gotten cramped over the years. Enrolling more than a few students at a time is a chore. And you can't really work with a specific subset of students—for example, there's no way to quickly contact, say, the course auditors (without also contacting everyone else, too). To tackle these problems, the new Roster introduces a new layout and some helpful new features while also preserving all your existing workflows. The status column replaces the old roster’s Status panels. The new drop-down at the top filters the roster to show students of a particular status. Changing a status or leaving a note is simple as ever—just click the appropriate icon and go for it. 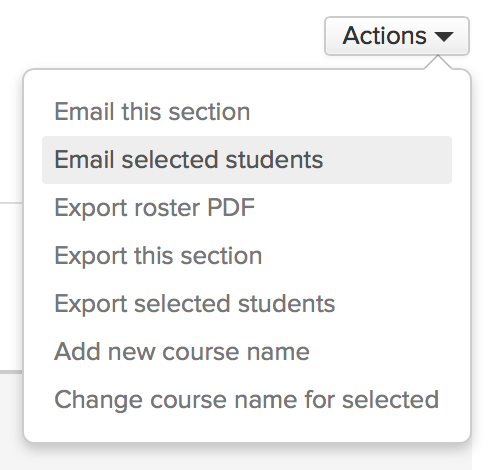 The new roster gives you two options for enrolling students: add them by name or import them from another course. Adding by name lets you search for and select multiple students; when importing students, you simply choose the term and the course and check the students you want to import. Both options make it much simpler to, for example, bulk-enroll a specific cohort of students—all in about a minute. You can also perform certain actions with a subset of students. 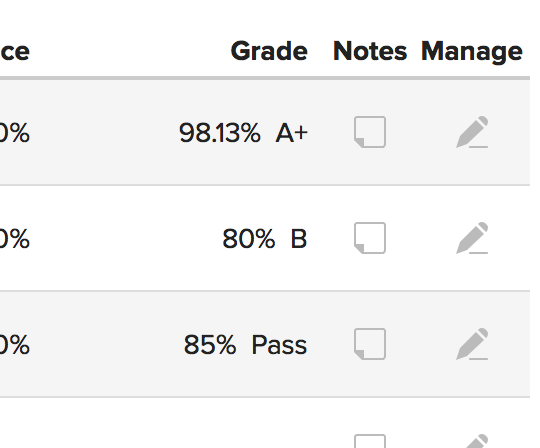 Just check the boxes next to the students you want to include and click Actions. You’ll see new options to email selected students and export selected students. 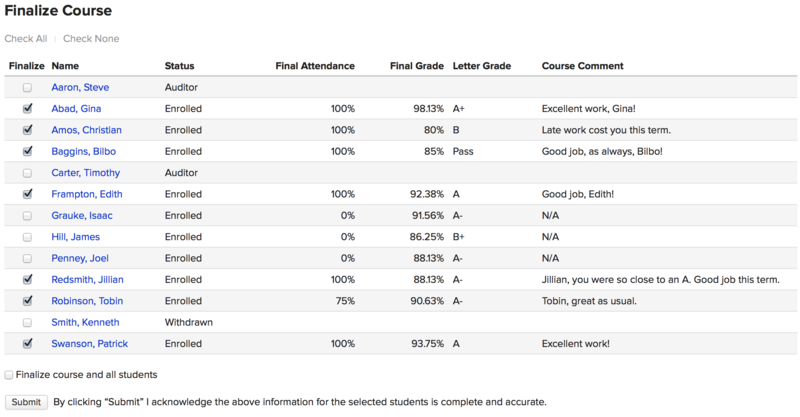 Oftentimes, you’ll offer the same catalog course to the same group of students, with each student needing something different on his transcript. For example, you might have a general “Directed Study” course, with one student studying guitar and another taking piano. 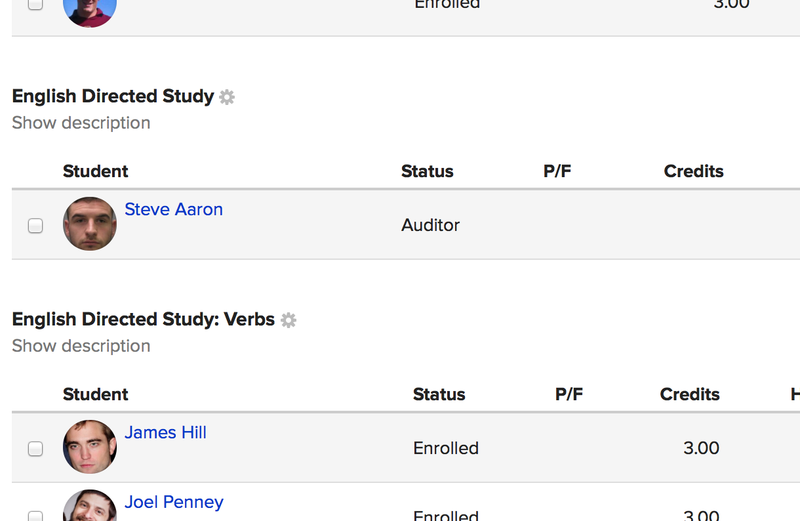 Previously, you had to create separate sections with different course names for each student, and then manage multiple rosters. 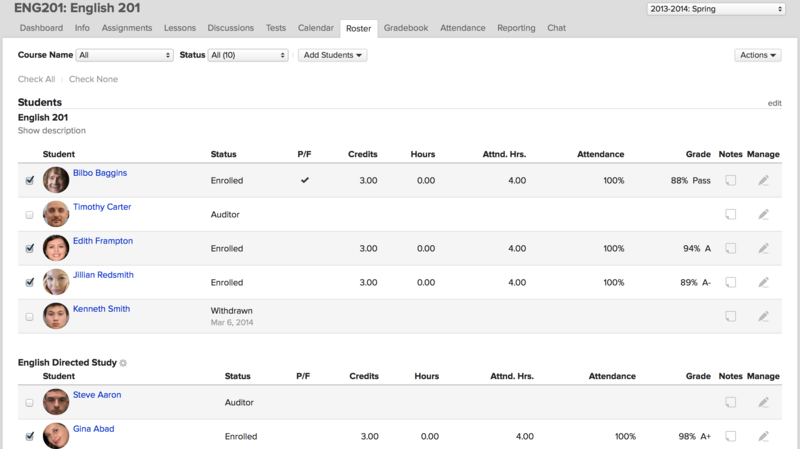 Now, you can just create additional course names and descriptions on the Roster for specific students. Finally, course finalization. * With the new release, you’ll be able to finalize individual students while leaving the course in progress for everyone else. You'll still be able to finalize the course and all students at once... but you won't have to. The new roster gives you a lot more flexibility with course management and we're excited to get it out there. It's still a couple weeks out, give or take, but once we've corrected the seasoning, we'll be dishing it up to everyone. To prepare, Faculty and Teaching Assistant users should check out these videos and articles; Academic Admins and Registrars should head over to this Knowledge Base forum to learn how it will work for them. * See what we did there? Huh? Huh? Didja? « Education tech: messiah or megaphone?